Why is Microsoft so shy? While other operating systems make a big song and dance about the additional software they come with, many people can last the whole lifetime of a Windows version without realizing the extent of the software inside. Never has this been truer than with Windows 10, the latest PC OS which is packaged with an incredible range of administrative apps, creative tools and productivity programs. 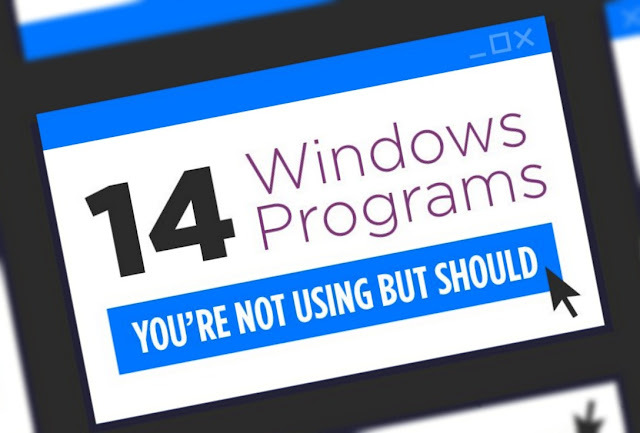 If you’re running Windows 10 on a PC, you are seriously urged to put a morning aside to run through the programs list and check out what you’re missing. Game DVR, for example, is a powerful screen-recording app, which can now be set to record just the software you specify. This is really helpful if you’re trying to record a tutorial for YouTube, or just want to keep a record of your gaming prowess without accidentally recording your regular digressions to Facebook and Twitter! 3D Builder is a useful 3D modeling program that can save you investing hundreds of dollars in a separate package. Whether you need it for work, you use 3D modeling for home improvements, or you just want to dabble in this most modern of visual arts, 3D Builder comes with much of the functionality of more expensive software. And then there are the little details that can help your computing day pass a bit more smoothly. Windows Hello allows you to log in using your fingerprint rather than typing in your whole ID and password. The Snipping Tool gives you the power to take screenshots of a particular area of your screen, instead of needing to ‘print screen’ and then waste time cropping your shot. The people at STL have detailed fourteen such hidden functions in their new infographic. Check it out to see what you’ve been missing – and then take some time to explore!